When you buy an 110v (120v) 60Hz appliance from USA, and run it on 220v (230v, 240v) 50Hz country (i.e. UK, Australia, Singapore), besides of a step up transformer, you may need a frequency converter to convert 60Hz to 50Hz. 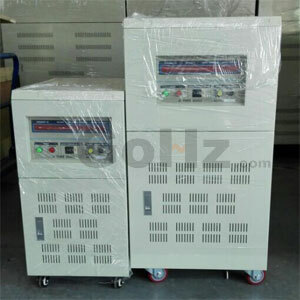 On the market you can buy the frequency converter up to 45kVA. I have an old radio from UK and because of good low basses I still use it with the Hz converter. Still you have to know that there is not standard for receptacles/socket outlets and plugs. Every country has its own sizes. So when you taking the refrigerator from UK to US and it is 600 Watts/230v, this frequency converter can change 110v (120v) 60Hz to 230v 50Hz without additional step up transformer. You can use it worldwide. It doesn't matter of the difference of 50Hz or 60Hz frequency. It covered everything what necessary to do for appliance of 110v, 120v and 220v, 230v, 240v. Remember connect with 110v only appliances good for 110v, and connect with 220v the appliances good for 220v. When your appliance is different use special step up transformer 110v (120v) to 220v (230v, 240v) or step down transformer 220v (230v, 240v) to 110v (120v). Also you can use a GoHz frequency converter to convert V & Hz in one time. 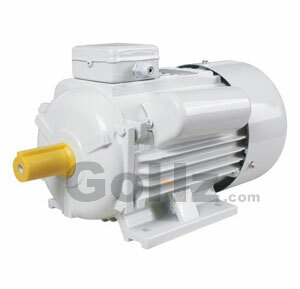 Electric motors, both single and three phase, are designed for running on a specified power frequency. But sometimes we may use a 'wrong' motor on the power supply. The basic, RPM is in direct proportion to Hz. 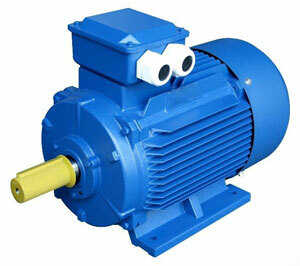 If you decrease the power supply frequency, the motor will slow down. On the contrary, if you increase the frequency, the motor will speed up. The RPM change is proportional to the Hz change. This also results in 20% less power. Basically, running the electric machine slower usually means it will be demanding less power. That's good, as the motor also decrease 20% of its power, and the cooling fan is slow down too. But the critical factor here is the V/Hz ratio. It goes up 20%! Not good. This means that during parts of every power line cycle the magnetic structure of the motor will probably be overloaded. The only recourse here is to correct the V/Hz with the variable value that is easy to change – V the voltage. Lower the voltage with a transformer to correct the V/Hz ratio. "No induction motor operating unloaded will have a much lower current than a motor loaded" This flies in the face of reality. The difference in work related current and unloaded current can easily be seen by comparing the FLA and the magnetizing current. You cannot say that an uncoupled motor (completely unloaded) and a motor operating at FLA will have essentially the same current draw. "My suggestion was to control the load on the motor shaft so to avoid an overload and overheat at 460V/60Hz" Several things are wrong here. A. Of course there should be control of the load to assure the motor is protected. You are assuming there is no control over the flow. B. If the motor is going 20% faster than the motor's cooling fan will deliver more air flow and therefore more cooling. Practically the result of this is that the transformer will run cooler on a 60 Hz system AT THE SAME VOLTAGE. 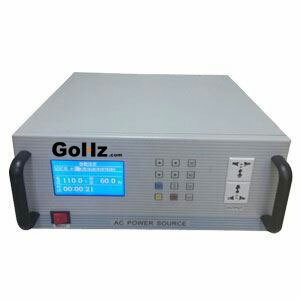 Given the eddy-current and skin effects - even with these, it is highly unlikely that any 50 Hz transformer will not operate at rated load or higher on a 60 Hz power supply system at the same voltage levels. Obviously the reverse does not apply because the 60 Hz (designed) transformer - assuming it has 1.5 T flux density for rated voltage - will end up at 60/50 x 1.8 T when connected to the same system voltage but at 50 Hz. This will cause many a modern (fully rated) 60 Hz transformer to overheat, due to the saturation of the core.